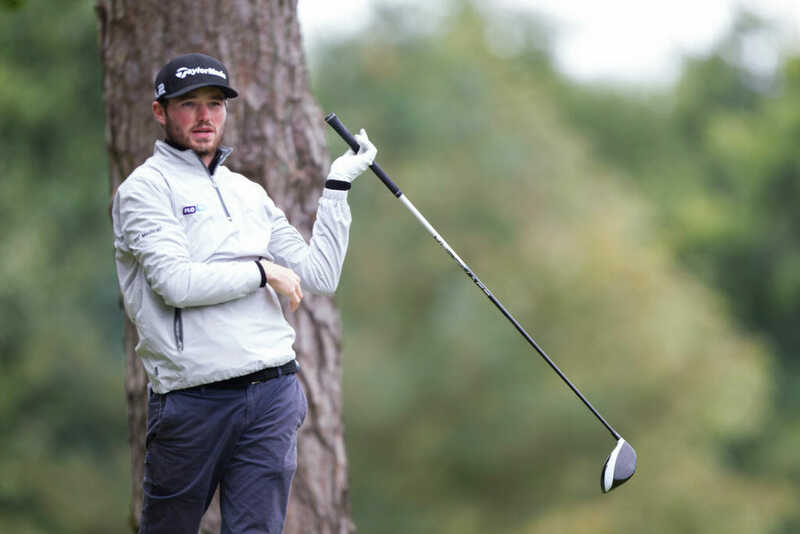 Cormac Sharvin got his skates on for moving day to jump up 25 places into a tie for 17th after day three of the KPMG Trophy in Belgium. The Ardglass man opened with four birdies on the spin and added one more at the ninth to race to the turn in 31. The only surprise was that he didn’t manage to add to his haul on the inward half but home in 66, Sharvin looks set for another good week at 10-under-par for the tournament. Sharvin wasn’t the only Irishman to take route 66 to the clubhouse as Stuart Grehan followed him home to jump up 25 places of his own into a share of 26th. Like Sharvin, all the action happened on the front nine for the Tullamore rookie, as Grehan carded a hole-out eagle two along with four birdies and just the one dropped shot to also hit the turn in 31. He parred his way home and at nine-under for the tournament, he’ll be hoping for another smart round tomorrow to continue a string of sound early season performances. Stuart Manley holds the lead with one round to play after shooting a bogey-free six-under-par 65 on Day Three at L’Empereur Golf & Country Club. The Welshman began the day tied with Scotsman David Law at the top of the leaderboard, but after three pars to begin his round, he carded six birdies to reach 19-under-par and now holds a two-shot lead over Sweden’s Anton Karlsson, who signed for a seven under par 64. The 39-year-old was the co-leader at the 56˚ Open de Portugal @ Morgado Golf Resort after three rounds and also led the Andalucía Costa del Sol Match Play 9 at the end of Day Two and he hopes to learn from the mistakes he made in those events to march towards victory tomorrow. positive and keep going forward. Swede Karlsson, whose 64 was the joint-low round of the day alongside Jack Singh Brar, is two shots off the lead on 17-under-par, while first round leader Pedro Figueiredo is a further two shots back on 15 under.